In other Shakespeare plays appear above all, Gods, for example in the happy endings, as a way to protect marriages or people. In “As you like it”, appears Hymen, a character which is the God of marriage and appears in a masque, the same moment in which appear the goddesses in “The Tempest”. In “Much ado about nothing”, there’s a character called Innogen, that is believed to be a ghost. It appears at the first time in Act I, Scene I of the play, but it never speaks or is referred in the rest of the play. 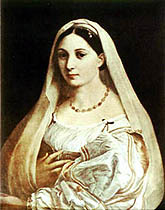 It is said that this would have been Leonato’s wife, but the character was never developed beyond the name. The mistake was simply copied from the original manuscript to the rest of the printed copies. As it was created as a character for the play by Shakespeare, even he didn’t develope it, it was later described as a ghost. I found an online magazine called “Much ado magazine” an article called “Innogen defends her silence” in which a writer puts in the mouth of Leonato’s wife, the words that she considers, talking about her daughter, Hero, and her marriage. The article says that Hero is like her mother, obedient, chaste and silent. Of course these words are a recent creation, not a Shakespeare description, because as we already know, Shakespeare forgot, or not, making Innogen talk and so he created a ghost, not a character. But Innogen’s ghost is nevertheless fascinating to consider. She offers a glimpse of the play that Shakespeare envisioned when he first sat down to write. In the 19th century someone discovered that the Elizabethan theater would frequently rewrite older plays when the time came to revive them. It became popular for a time to interpret virtually all of Shakespeare’s plays with the assumption that they had been rewritten from older sources. In the case of “Much ado about nothing”, Innogen’s presence in this first stage direction was hypothesized to have been written by Shakespeare. Some plays have included Innogen as a character in the first scene of the play due to these adaptations.